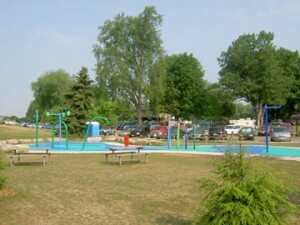 The Rotary Club of St. Thomas, in partnership with the City of St. Thomas, built a splashpad in Pinafore Park. Construction began on November 8, 2004 and completed in the spring of 2005. The Splashpad was officially opened on Canada Day 2005 and since then the pad has become a real centerpiece of the park in the summer months where children and parents gather to cool off, play and catch up with friends.